Living in a tent, whether you are living in a canvas wall tent or any other sort of tent, can be a major change of pace for some people. However, it brings with it a lot of benefits and lifestyle changes that attract more and more people to it every year. But is it even possible to live in a wall tent? What are the benefits and downsides of canvas tent living and what makes a good tent in the first place? 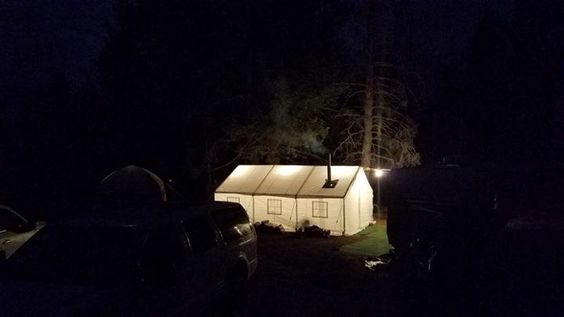 In this article, we are going to cover these questions and more, so if you have ever wanted to live in a canvas tent, then you are in the right place. However, before we begin, it is best that we tell you that there are some legal issues that one must maneuver if you want to live in a tent. So, be sure to take the time to properly research the topic in the area where you live before venturing to live in a wall tent. 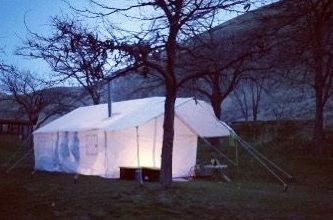 Why live in a wall tent? There are many reasons why people like to live in tents. 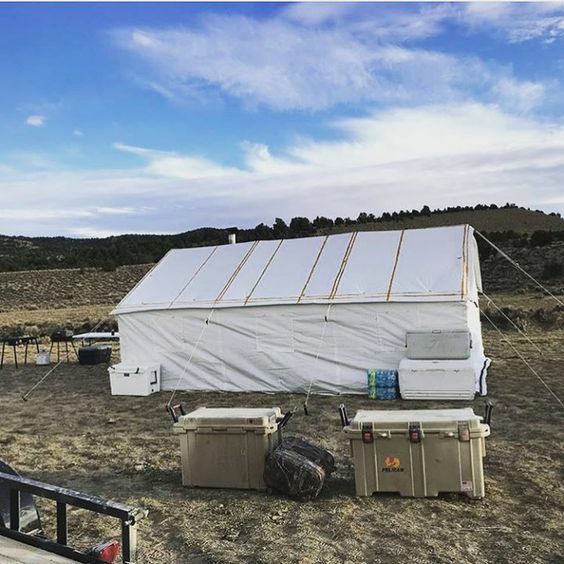 We’ve listed here a few of the more popular reasons for living in a wall tent, but you may find some different ones if you try it yourself. For some people, the biggest problem with normal homes is that they are stuck in one place and can’t be moved :). Well, with a tent, you don’t have to worry about that. Canvas tent living means that you can pack up your shelter and move it to a new location with ease. So, if you find that you don’t like the location where you live you can put your roots down somewhere else without much trouble at all. Another reason that a lot of people decide to live in a wall tent is that they want to be close to the great outdoors. Whether you are living in the city or in the woods, you are so much closer to nature and surrounded by its beauty every hour of the day. While you sacrifice a lot when you start living in a tent instead of a home, it does end up being a lot less expensive in the end. There is no cost for electricity, nor are there taxes involved with living in a tent. While the exact savings is not clear, it is perceivable that costs of living in a tent are much less than those of living in a home. However, that is yet to be seen. Check out our selection of canvas tents now! Why to not live in a wall tent? Now, as with everything, there are reasons why many people don’t like to live in a canvas tent. 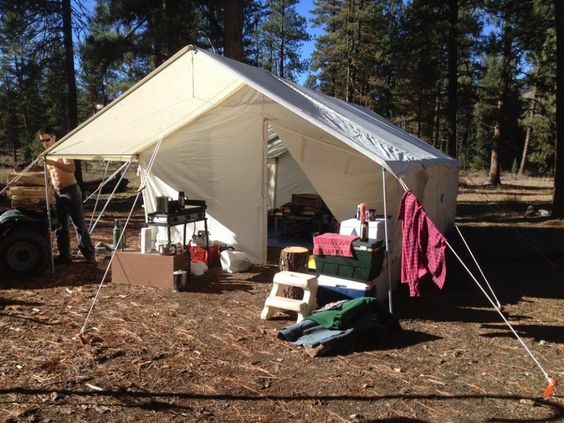 Again, we have listed a few of the reasons that people list against canvas tent living. Now, we are not saying that living in a tent is naturally unsanitary, we are merely explaining that there is a natural lack of modern sanitation devices. For instance, plumbing and waste removal. While there are public facilities where one can take care of this, it can become very inconvenient for the tent dweller. Then there is the fact of there being no showers in a tent. Again, there are public showers, especially near places like campgrounds and beaches, but those may or may not always be accessible when one may need it. However, there is also the possibility of bathing in a river or other body of water. This is probably more doable for those who are out in the woods when living in their tents; however, heavy winters may make it near impossible to do. If one plans to live in a canvas tent during the colder months of the year, they need to find some way to stay warm. In a traditional home, there are at the very least, thick insulated walls and a solid roof between residents and the elements, something that the tent dweller does not have the luxury of. Granted, there are plenty of ways that a tent dweller can keep warm. Many canvas tents have holes built in their roofs that are made for the stove pipes of a wood burning stove. This allows them to keep warm with a fire while staying inside the canvas walls of their tent. This can be problematic though for those who don’t live near burnable wood. However, with some careful planning, wood can be gathered before the cold months come. Check out our wood burning stoves and other accessories. Is it possible to live in a wall tent? So, now the question is, ‘is it actually possible to live in a canvas tent?’ and the answer is yes… mostly. See, it is completely possible to live in a canvas wall tent, just as our ancestors did it for centuries. However, the problem comes when you start looking for a place to live. As we mentioned earlier, there may be laws or regulations restricting you from staying in one spot for long periods of time. Most camping areas and BLM land will put limits on how long one can stay in a certain camping spot, which would require a tent dweller to move every few days or weeks. Not to mention, there are many cities that prohibit camping within city limits (unless in a designated area). However, if one really wanted to live in a tent without leaving the city, they could potentially buy land and set up their tent there. This would need to be a plot of land that has access to clean water though. Without it, a tent dweller would need to make sure they had free access to public water and waste disposal systems. Now, if you are one of those that are ready and willing to spend some good quality time in a tent, then the next question would be, ‘what kind of tent should I buy?’. We here at Elk Mountain Tents would suggest that you invest in one of ours because they have a stronger rip and tear strength, are naturally water proof, and will last. 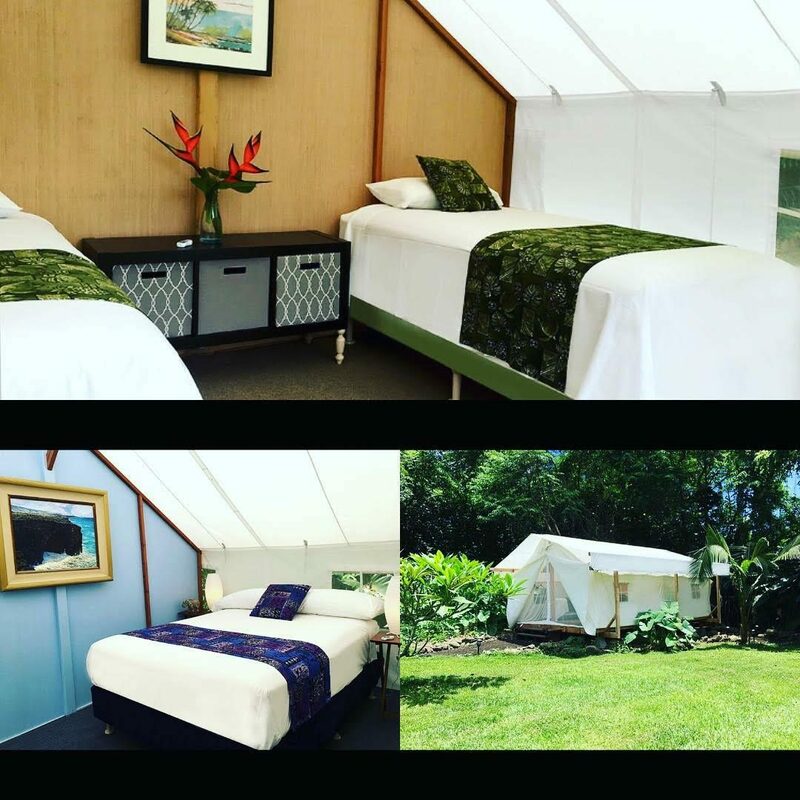 For more information about our canvas tents, check out our selection of canvas tents online or give us a call today!